The Windows Azure Service Bus Enterprise Application(Artifacts) Infrastructure & Enterprise Distributed Infrastructure provides integration capabilities for the Windows Azure apps to extend On-Premise application to the cloud, provide Rich Messaging Endpoints to process and transform messages, caching & provides rich support for enterprise integrate disparate application on -premise as well in Windows Azure. 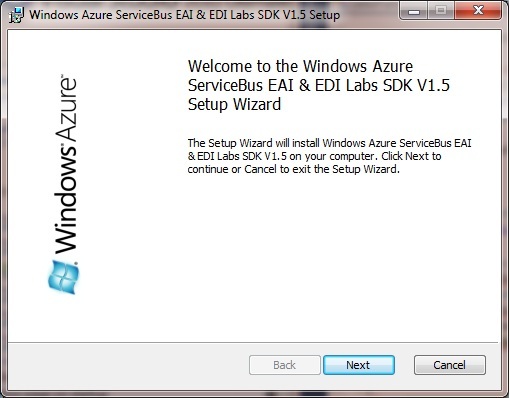 Features: Windows Azure Appfabric Service Bus Connect Project Template in Visual Studio. Connectivity between on-premise with cloud apps supporting service bus internal endpoints & on – premise LOB applications. PowerShell cmdlets to manage Service Bus Connect RunTime components. Stable integration with Windows Identity Foundation(4.0) runtime with SAML token, SWT token, STS tokens, Relay services & WRAP 2.0 Protocols. 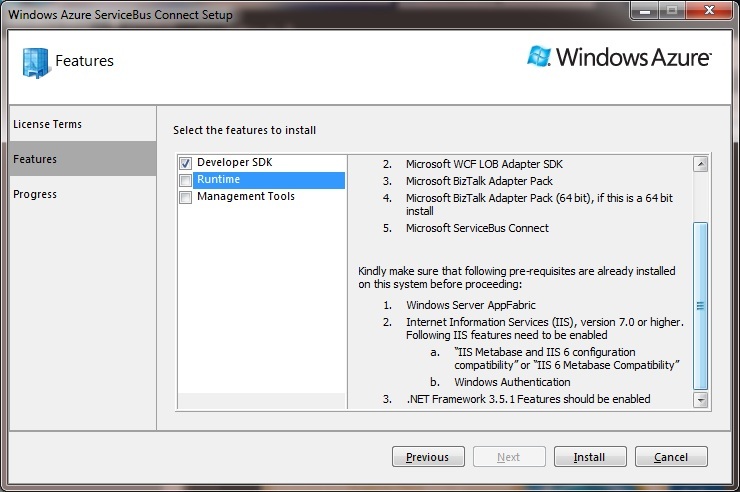 The installation of Windows Azure Appfabric Service Bus Connect SDK installation which requires Windows Server Appfabric SDK , IIS 6 metabase & PowerShell cmdlets. It also installs itself Microsoft Bizspark integration components as a integration of Microsoft Biztalk servers with Appfabric Service Bus Queues. 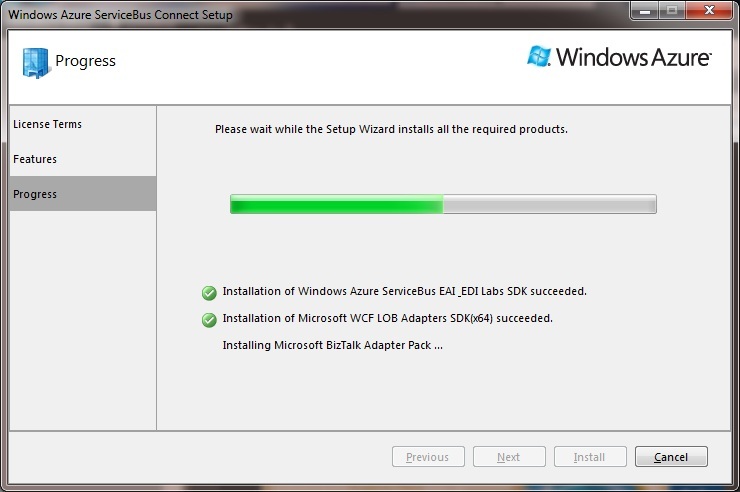 Integrating WCF LOB adapters & Biztalk spark components with Service Bus Connect. Anindita Basak is working as Big Data Cloud Consultant in Microsoft. Worked in multiple MNCs as Developer & Senior Developer on Microsoft Azure, Data Platform, IoT & BI , Data Visualization, Data warehousing & ETL & of course in Hadoop platform.She played both as FTE & v- employee in Azure platform teams of Microsoft.Passionate about .NET , Java, Python & Data Science. She is also an active Big Data & Cloud Trainer & would love share her experience in IT Training Industry. She is an author, forum contributor, blogger & technical reviewer of various books on Big Data Hadoop, HDInsight, IoT & Data Science, SQL Server PDW & PowerBI.